Based on some research I have been doing and on my own personal experiences, I have decided to give you my official 10 Best Things a Woman Can Do for Her Body guide to success. Follow these 10 rules, and your state of mind and quality of life will drastically improve (drastically may be a strong word, but you get the picture). Check it out! 1. Never apply mascara in the car. If I had a dollar for every time I’ve gotten mascara in my eye…ALSO, one of the most common eye injuries are corneal abrasions caused by our favorite friends: mascara wands. Make sure you always have a steady hand and can fully concentrate when applying mascara. Also, try focusing on one thing at a time! No time for make up? Try waking up 15 minutes earlier so you feel less stress. 2. 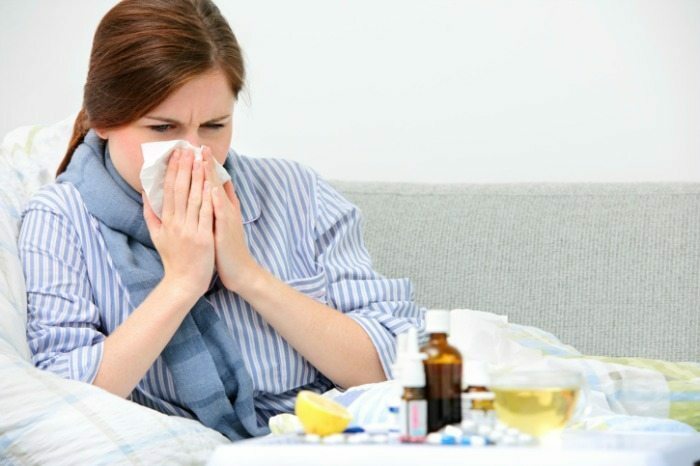 Stop taking medication for every sniffle and cough you wake up with. I’m the Benadryl Queen. If I toss and turn for more than 5 minutes I get angry, and go straight to my drawer and pull out the Benadryl. When I’ve got a tickle in my throat, I down that Delsym. This is probably the worst habit one could have. Overusing antibiotics or any medication can lead to drug-resisting bacteria. In addition, these drugs also kill your body’s good bacteria along with the bad. 3. Stop the dangerous diets & detox fads. I’ve done the gum diet for a few days. Am I an idiot? Absolutely. Did I fit into that dress? Nope. The drastic diets and detoxes are your metabolism’s worst nightmare. Not eating may seem like the best idea to drop those 2 little pounds, but you will gain weight once you are done starvin yourself. It is totally not worth it. Just eat healthy. Don’t starve. Food is too yummy, anyways. Power naps help you kill stress and recharge your body. But if you snooze for longer than 30 minutes, your body enters deep stages of sleep. Studies have proven that if you wake up right before the deep stages of sleep, you’ll feel much more refreshed and not as groggy. 5. Stop drinking your calories. Calories are important to us women. We take them very seriously. Why waste them on a good-for-nothing drink from Starbucks? Save them for a glass of red wine at dinner, or if you’re dying for that piece of chocolate cake calling your name at the office. Sacrificing your daily calories for a drink will never be worth it. Water or nothing. 6. End relationships that no longer work for you. There’s nothing worse than investing your time in a dead end. Think about all the opportunities you’re missing out on if you’re trying to fix something that is obviously broken. You’ll have more energy to spend on the important aspects of your life. 7. Do your weight workout first. Your body is able to better handle weight training early in the workout because you are fresh and you have the energy you need to utilize your strength. Cardio should be the last thing you do at the gym, as it helps your body recover by increasing blood flow to the body and flushing out lactic acid. Studies show that eating a proper breakfast is one of the most positive things you can do if you are trying to watch or lose weight. Breakfast skippers tend to actually gain weight. An ideal breakfeast would include fruit, high fiber cereal, yogurt, wholewheat toast, or a hard boiled egg. You decide! To prevent shin splints when you run, or to correct anatomical flaws like flat arches, you’ll need to find the perfect sneaker. A good pair of sneakers is one of the best investments you’ll make. They last forever, and they will protect your feet and ankles. There are very few moments that feel as good as when you let out a good cry, it’s reputed to be good for you. This is also the case with laughter, which has been proven to help heal bodies and the – infamously painful – broken heart. Laughter has also been proven to burn a calorie or two. So ready, set, go! What healthful practices do you follow? Looking for more feel-good practices? Check out the Pretty & Pamper Guides. Also, try some of our stress-free techniques.